Custom metal work for interior designers and architects. 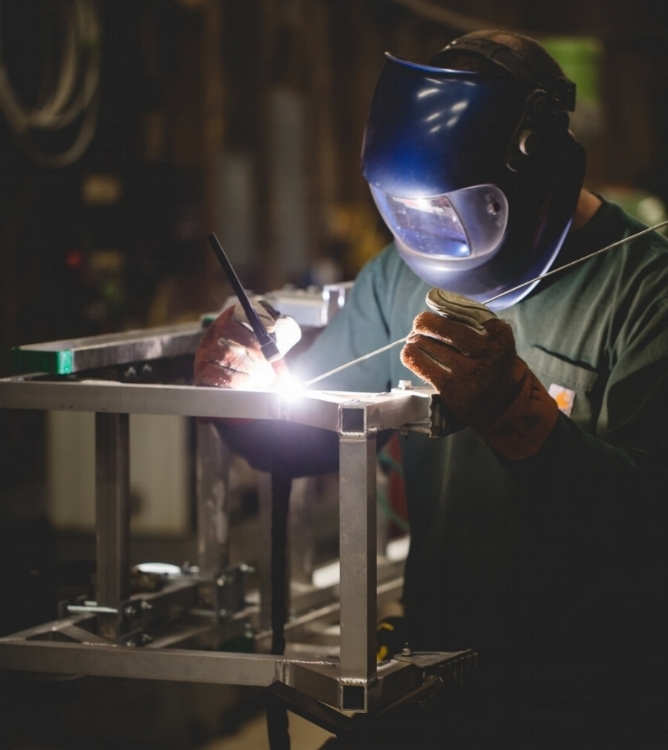 A skilled welder and talented fabricator, Nicholas has built a career dedicated to superior craftsmanship. After 14 years of performing industrial, structural, and high pressure pipe welding of X-ray quality, Nicholas decided to set out on his own. Bradbury Mountain Metalworks started as side projects -- and weekend fun -- but is now his full-time passion. Your project may not require an X-ray but you’ll receive the same quality and attention to detail. No project is too big or too small. Whether working from client specifications or designing on the fly, we will make sure your project meets your vision. Nicholas loves a challenge and has successfully tackled many complex mechanical builds. He’s just as comfortable with simple jobs but the precision and craftsmanship are guaranteed. Supporting Residential, Commercial, Industrial and Construction needs. Restaurants, bars, breweries, retail fit out . With a milling machine and lathe in-house, Nicholas can produce custom parts on the spot. These capabilities combined with his fabrication designs allow customers vast possibilities for their project needs.